Discussion in 'Home, Auto, Hobby and Computer Tech' started by oxrageous, Apr 24, 2015. I ordered new tires online. When they get delivered, I'll take them across the street to get mounted and save $300 on their quoted prices. What size wheels and tires did those 80's(C4 ?) Vette's come with? Are yours stock by any chance? That's a stunningly good looking C4. Those can't be factory coils, though. The car looks like it's ready to go mudding at that height. What made you decide on the more modern exhaust tips? I think he said, somewhere in the middle of this thread, that he was adding either running boards or pipes but hadn’t decided. Maybe we’ll get an update. As far as I know the coils are stock. The exhaust tips are actually not that modern. 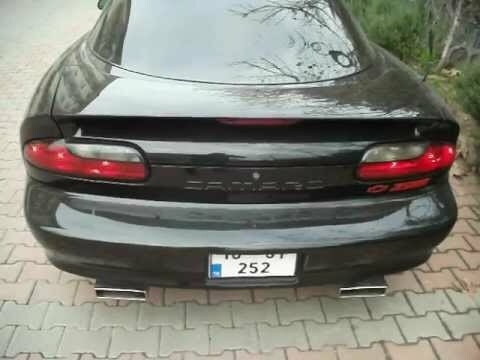 They are from a 90's Z28 Camaro. The rectangular tips actually fit perfectly in the cutouts in the bumper and should have been this way stock. I took her out tonight and opened 'er up. 42 was the top speed. I've seen those. I'm used to seeing round tips on Corvettes. So now you’re the equivalent of a P-51 owner who doesn’t want a bug to f up his paint job?